Bollywood stars are like normal people, and they too go through certain situations that make us go ROFL. While we miss the majority of the funny moments of their lives, sometimes we are able to catch them on camera. Or in one case, see something outrageous getting posted on Twitter. These videos are perfect to light up your weekend. So without further ado, let’s take a look. This was indeed a funny moment as Anil seems blissfully unaware that his shirt buttons are open. Ajay Devgn shocked a lot of people by sharing wife Kajol’s number on Twitter. Later, he revealed that it was just a prank. Rakhi Sawant challenged a professional wrestler, and in return, she got a body slam which sent her to the hospital. Ranveer, after keeping his wedding a private affair, gatecrashed a wedding and started dancing. He was promoting his movie ‘Simmba’. Sara Ali Khan once weighed much heavier than she does now. On this season’s ‘Koffee With Karan’, Sara appeared with her father Saif Ali Khan. KJo shared an extremely funny and embarassing throwback video of hers. In KWK, Sara admitted that she wanted to date Kartik Aaryan. 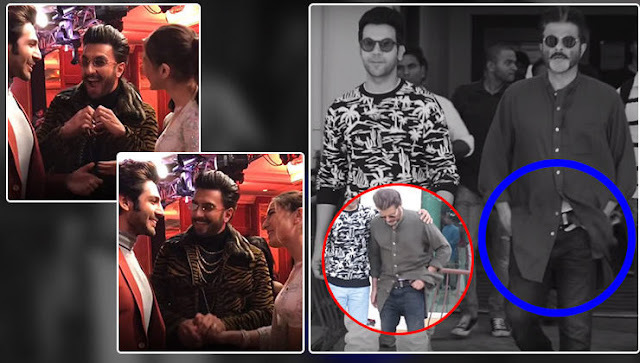 So playing cupid, Ranveer introduced the two of them and the video went viral in no time. While at a mall, Kajol fell down and her bodyguard had to come to her rescue. Watch the hilarious video above to find out more.